Today we have a lot of good news! For starters: the magazine Classic Bike (The nordic one) with the story about us hits the shelves today, subscribers got it last thursday. The story runs over 8 pages! 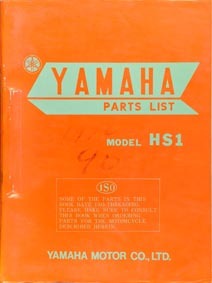 You can check out their website at http://classicbike.ning.com/. We also have a lot of other goodies for you. We have a new update on the AS3 ‘Art’ project: it’s coming together nicely now. If all goes to plan we should be as good as done during christmas. Check it out here! If you’ve been to the Manuals section this last week you might have seen that we’ve added a new parts list for the HS1/HS1B/HT1. 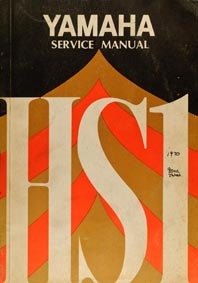 We’ve also added the service manual for the HS1 today. You can find both of them in the Manuals section or below! We’ve also got our hands on a lot of new bikes lately: two AS2J and two AS1. So far we’ve disassembled the first AS2J we got. You can see pictures of it below. We were in for a bit of a surprise though. Just looking at the bike everything appeared to be good. When we got to removing the engine there were a lot of strange tension on the fastenings. It turns out that it has been crashed at some point! The frame and front fork are bent as you can see from the pictures. So far we haven’t decided what to do with the bike so we’ve just taken it down for parts. We’ll be back with more updates soon!